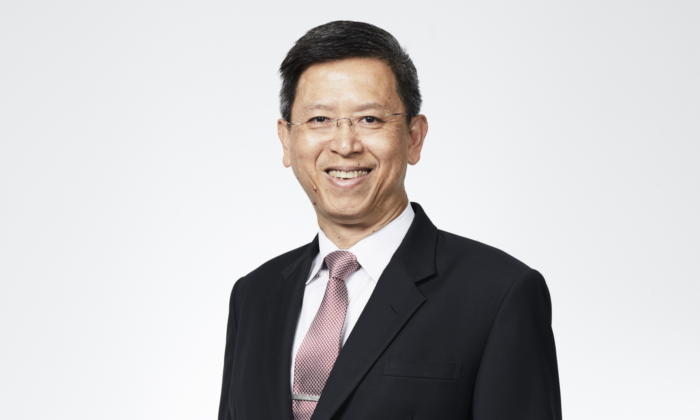 In an article by Channel NewsAsia, newly appointed chief executive of transport operator SMRT, Neo Kian Hong (pictured), said he was confident of winning back the trust of the public. According to the article, Neo said this would be done through three core objectives with of course, the focus being on “delivering reliability”. The other two areas SMRT would also focus on would be to create sustainability and ensure “continuous improvement”. Neo, who came on board in August this year to replace SMRT CEO Desmond Kuek, has not had the easiest journey. At the time of his appointment, many likened Neo’s career to one similar to his predecessor Kuek who served in the Singapore Armed Forces from 1982 to 2010 prior to his stint at SMRT, holding leadership positions such as chief of army in 2003 and chief of defence force in 2007. Moreover, SMRT Trains has seen a dip in revenue and ridership for the financial year ending March 2018. According to data from a its operations review report, total revenue was down from SG$791 million in 2017, to SG$763 million in FY-2018, with the company experiencing a SG$86 million in profit loss after tax. This was due to lower train ridership numbers and lower average fare, with total ridership amounted to 753 million in FY-2018, down from 768 million in FY-2017. Average weekday ridership was at 2,258,000 in FY-2018, down from 2,353,000 the year before. Meanwhile, it is no breaking news that SMRT’s image also took a hit in the past few years, with service disruptions and a PR storm after its trains collided. So now with the conversation moving towards building brand trust, in an era where trust is easily lost, we ask brand leads how SMRT can win in this space. In the case of SMRT, it seems the company does need some salvation by way of a trusted and respected brand. Currently SMRT has some distance to go in being perceived by the travelling public as reliable, credible and desirable. Once the company has the basics right, SMRT can start to further distinguish its brand. Meanwhile, Graham Hitchmough, regional chief operations officer, Bonsey Design Partnership, said that while public transport users could afford to be more patient with the inevitable strains of improving and expanding the service and be less quick to criticise, SMRT could certainly be doing “a lot more” to manage the situation, with branding and messaging a key area of focus. “Public dissatisfaction with service outages and delays could be lessened if there was more proactive and efficient communication of these issues and alternative travel options,” Hitchmough said. He added that delays often only become apparent when it is too late to make alternative arrangements, putting an additional burden on replacement services. Also, more could be done through enhancing the usefulness of social media and apps. Furthermore, public frustration has been allowed to build in part because there is no adequate platform for users to connect and have a proper discourse with SMRT. “Greater transparency and interaction and a more inclusive, co-dependent approach to communication, problem-solving and expectation-setting would be a major step towards winning back public sentiment,” he said. It is also important for SMRT to share the bigger picture. Rather than engage consumers with a clear and compelling vision of what is trying to be achieved with the “smart” transport infrastructure, SMRT often seems to be keener on selling advertising space and public service messaging. While everyone might ultimately benefit, SMRT should now focus its efforts to inform and offer greater context to the current day-to-day transportation challenges and make everyone feel more a part of creating a better transportation future. Meanwhile, in March this year, SMRT Trains partnered McLaren Applied Technologies to incorporate condition-monitoring solutions which track and predict the performance of SMRT trains. The latter is part of the McLaren Group that includes the Formula 1 (F1) team, McLaren Racing and McLaren Automotive. Such technology is commonly used aboard F1 race cars to provide vital information derived from highly specified and real-time data. Meanwhile, Lip Sync Battle Philippines debuted to high TV ratings last February 27, garnering a 25.6 percent household rating in M..
Are Asian consumers ready to embrace AI? Overall, the Asian consumer tends to have a higher acceptance of product or content recommendations through AI but ultimately stil.. The objective of the "The Influencer Takeover" is for the brand and influencers to collaborate and cross-promote content. ..